A person suffering from Thoracic Outlet Syndrome (TOS) should have various precautions, like taking care of his posture and ergonomics. There are certain postures and activities that aggravate TOS symptoms and others that reduce the symptoms. 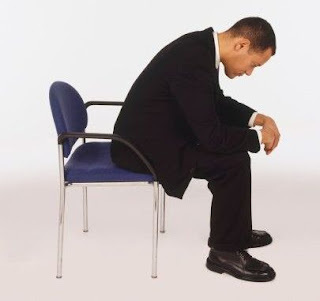 The head-forward posture aggravates TOS symptoms, which combines rounded spine and forward head with protracted shoulders, commonly referred to as “slouching”. Activities that aggravate TOS symptoms are reaching above shoulder level and carrying heavy weights. Good posture alleviates symptoms and is as follows: Bring shoulders back to a relaxed but retracted position; head should glide back automatically when shoulders are in correct position, weight should be distributed equally on both feet and low back should retain its normal lordosis. 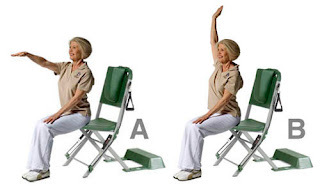 The patient can attempt a rigid military stance and then relax the position to improve comfort and compliance. Proper posture should be maintained when sitting, standing, or walking. The exercises most commonly given to patients to relax the shoulder girdle and upper trapezius musculature, stretch the scalene and pectoral muscles and strength the cervical extensors, scapular adductors, and shoulder retractors. Before starting any of these exercises be sure to get advise from your physical therapist, for he is the only one that knows what types of exercises you can or cannot start doing! · Neck side bending – this exercise stretches the trapezius muscles. Bring the ear of your affected side towards the shoulder of the same side without shrugging the shoulders and hold for 5 seconds. 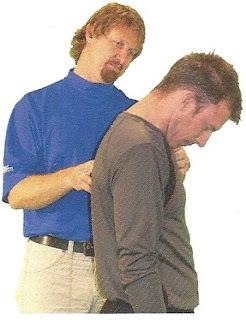 · Neck rotation – this stretches the cervical muscles and improves neck rotation. Turn head to side and look over to your unaffected shoulder while keeping the body facing forward; hold for 5 seconds and repeat 5 times. 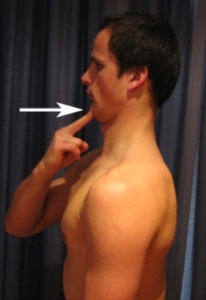 · Neck extension – this exercise stretches the scalene muscles and the flexors. Bend the neck backwards to the back and hold for 5 seconds then return the head to it neutral position. Repeat 5 times. · Neck flexion – this exercise stretches the cervical extensors and upper trapezius muscles. 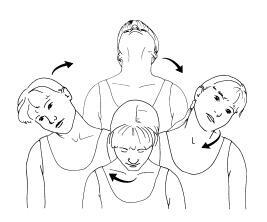 Bend the neck forward to chest and hold for 5 seconds then return the head to the neutral position. Repeat 5 times. · Chin tucks – this exercise stretches the cervical extensors and strengthens the paraspinal muscles. Try to make a double chin, feeling a stretch behind the neck and hold for 5 seconds. Repeat 5 times, relaxing between efforts. 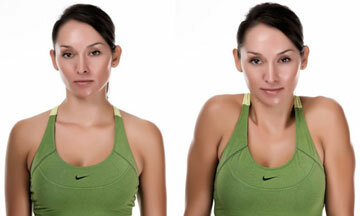 · Neck half-circles – this exercise combines all the neck exercises and improve the Range of Motion (ROM). Roll the head slowly from one ear to the same side shoulder, then the chin to the chest and then the other ear to the other shoulder slowly 5 times in each direction. · Pendulum exercises – First do this exercise with 1-lb weight for 1-2 minutes. This exercise loosens the shoulder girdle by putting gentle traction on the upper quadrant. 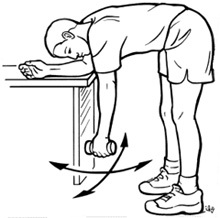 Do this exercise near to a table. Place the hand of your unaffected side on the table and bend your body in a 45º degree angle and relax your affected arm perpendicular to your body, aiming to the floor. Do a pendulum movement with your affected arm. · Shoulder shrugs – elevate shoulders up to ears and then slowly lower, repeating five times. This exercise strengthens and relaxes the upper trapezius muscles and encourages scapular retraction and cervical extension. Sh Shoulder circles – roll shoulders forward five times then backward five times. This exercise alternately strengthens and stretched the entire shoulder girdle. 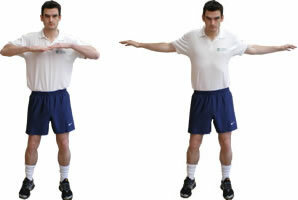 · Elbow pinches – place hands on the waist and move the elbows behind your back attempting to touch the elbows together. Hold for 5 seconds, then relax and repeat 5 times. This stretches the pectoral musculature and strengthens the scapular adductors. 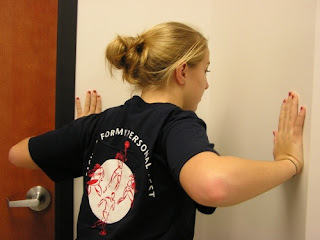 · Corner stretch – stand in a corner or a doorway and put one hand on each wall or doorframe and then slowly let the upper part of the body lean forward into the corner or doorway. Though standing, the body’s position resembles a push-up and stretches the pectoral muscles while strengthening the scapular muscles. · High swings – as a cool-down exercise, stand with arms to side, swinging both arms forward and backward as a pendulum as high as possible in each direction. Repeat five times. · Side swings – swing arms forward crossing each other at shoulder level and then swing the arms back and try to make your shoulder blades to touch. Repeat five times. This loosens the shoulder girdle. Goshh,,,, Simple exercises but surely has a lot of benefits.. i'll definitely try these exercises.. This is a very informative post, which shares knowledge about physical therapy, NJ. Good job, well written. The Benefits of a Physical Therapy Career include the intrinsic rewards of life as a PTA. In other words, you are helping people each and every day of your career, and having a direct role in. Check this out for the details. To become a Physical Therapist you need to pass the NPTE exam which this website can help you with by providing test help, problems, and study guides. Nice and informative post. There were many benefits withe physical therapy. It reduces the back pain and muscle pain. Here i suggest another source which may help you guys. This is really good. But I have high blood pressure. Is it good for me? Having high blood pressure doesn't constitute a danger for making the exercises, for their are simple and don't require a lot of effort. However, do them slowly, breath while doing them, rest between exercises. If you want to be more secure, talk to your medecin.